One manifestation of our neurotic drive to isolate ourselves from the rest of the planet is the Toilet Assumption, which Slater describes as “the notion that unwanted matter, unwanted difficulties, unwanted complexities and obstacles will disappear if they’re removed from our immediate field of vision.” This “unwanted matter” includes other people, so we try to get them out of sight—by raising barriers to keep the poor from moving near us, by incarcerating as many people as we can manage, and by turning away from crises in other nations unless our national honor is threatened. This week the Ferguson Commission released its report on racial and economic inequities in the St. Louis area and proudly called the document “unflinching.” But Americans don’t flinch, they flush. In what turned out to be a retro weekend, I also saw a Boston revival of Mart Crowley’s 1968 play The Boys in the Band, about a group of gay men in New York at a time when they still risked arrest for simply being in the same room. (The Stonewall Riots were still a year away.) “The Pursuit of Loneliness” could have been a secondary title. Several characters reach for human connection, but they have been conditioned to see this impulse as weak and, yes, unmanly. The stereotype is of the self-loathing homosexual, but the dilemma is a universal one, and you can see it played out in any play or movie in which a group of friends and lovers realize their dependence on each other and express their unwarranted shame in ugly fashion. The play’s characters also talk about undergoing therapy, trying to overcome addictive behavior, and other forms of self-improvement that are fine in themselves but can lead to the belief that we must attain perfection (i.e., get rid of our neediness) before we’re ready to form relationships. And in The Boys in the Band, the Toilet Assumption is instead a kind of Oscar Wilde Defense, where every problem is not whisked out of sight, but instead cloaked in bitter jokes. My retro weekend came to an end, and I went back to reading about contemporary American politics—where the disdain for human connection and the deployment of the Toilet Assumption are as strong as ever. Or should that be the Trump Assumption? In the 2016 campaign, Democrat Hillary Clinton is the ultimate familiarity-breeds-contempt candidate. 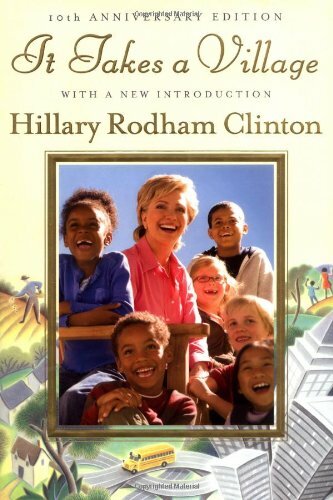 She’s still ridiculed for writing a book on the well-being of children called It Takes a Village, the title considered a slap in the face to John Wayne and the self-sufficient families in cul-de-sacs across America. Among the Republicans, Jeb Bush is floundering because he’s too much of a “let’s all work together” kind of guy for his party. Some guardians of conservative orthodoxy accuse Bush of being a “cuckservative,” an insult derived from “cuckold,” or a man whose wife is cheating on him. (The word also implies a kind of sissiness, or a boys-in-the-band reluctance to punch out anyone who does you wrong.) They mean that Bush is too conciliatory, too willing to work across the partisan aisle. They’re particularly suspicious of him on immigration issues, and they’ve never forgiven his blurt of empathy last year, when he said many people who enter the U.S. illegally do so out as an “act of love” for their families. The Republican frontrunner is Donald Trump, the ultimate “I’ve got mine” candidate. He promises to flush away—that is, deport—millions of undocumented migrants, and he’s sick of hearing about the Black Lives Matter movement. Scott Walker, seen as the tough alternative to Bush before Trump came along, is trying to revive his campaign by proposing that we go as far as the Constitution will permit in outlawing labor unions—which not only a form of dirty collectivism, but also an effective means of increasing political participation. With the election more than a year away, one wonders how many other cooperative institutions will be targeted in the movement to take the clutter out of American politics. At this point, I wouldn’t be surprised if a candidate urged a ban on voter-registration drives. Why is it your business whether your neighbors exercise their rights?